Milestones - Love, Caroline O. My store opened on September 3rd, which is the day I posted my first item. I got one sale during the first month. Is it silly to say I know exactly what I was doing when I heard the first ever "cha-ching" notification on my phone? I sold these lion earrings, and I spent more on buying packaging to ship out the earrings than I actually charged for the product. Also, I under-charged on shipping, so I made no profit whatsoever. When the $5 turned up on my account, I bought tea while I was at a coffee shop, trying to send out my resume to every newspaper and magazine across the U.S. and Mexico. Then October came around. I was walking around in Downtown McAllen and I came across these bags of flowers at an insanely good price. I bought three or four bags, not knowing what I would do with them, and thought to myself, "You really do know how to waste money, Caroline." I decided to get some headbands and make flower crowns and add them to the store. I made 8 initially and I even gave one to my model, because I didn't think they would be worth much on the store. Since I didn't do my research and since the flowers were so cheap, I priced my first crowns at around $10. To say that my store took off after that is an understatement. That month I was selling crowns faster than I could produce them. Flower crowns wouldn't last an hour online before they were sold. I admit, after months of looking for a job, it was nice to just sit around a pile of flowers while watching Netflix as the money rolled in. When I did get my dream job(s), I didn't shut down the store because, well, the store made more than my two jobs put together... doubled and maybe even tripled. Today, I made my 300th sale. It may not sound like a lot, but one sale could mean a custom order to a bridezilla who wants 300 fans for her wedding. At $6 a fan... well you do the math. This month, I made the most I've ever made at the Art Walk/ Craft Fair, and my store is so large that there is a substantial amount of space in my beach house of Love Caroline O inventory. I've had orders from Googleplex, large entertainment companies in California, and Cadbury World Headquarters overseas. 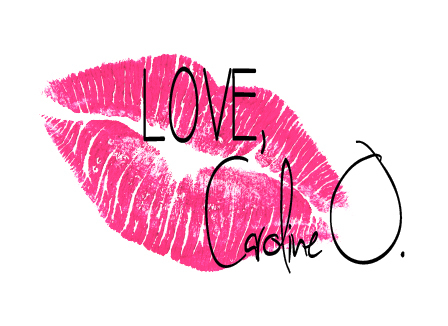 I've been featured in blogs that have thousands of followers, and two stores in two states now hold Love Caroline O inventory. What started off as three shoe boxes of jewelry is now a wall of shelves of boxes and boxes and boxes of merchandise. I don't think I will continue the store forever, because opening up an online business was just kind of a bucket list thing. I love my store--I think it is a showcase of me--but my passion is in magazines, newspaper, writing, and editing. The day that my passion makes more money than the store is the day I will either give away my store or sell it. As for now, I can manage both. I read this quote online (actually I read it on a pillow that I want off Etsy) that said, "If you are lucky enough to live on a beach, you are lucky enough." I think that's so true. I love my life right now. I really do.